I’m crying with gratitude and love as I write you this email. I can’t express what your presence meant and did for me and my husband during our daughter’s birth. Saying thank you does not even begin to cover the desire I feel to let you know how deeply you have impacted our lives through your care and love that day. I wish every woman had the opportunity and means to experience the birth that I did. I felt completely safe, supported and loved, and I know my husband felt the same, and these feelings began and ended with your incredible ability to help me achieve the natural and gentle birth I had envisioned. I will be forever grateful to have discovered HypnoBirthing, for my midwife’s recommendation to contact you, and that you happened to have one spot free just for us. I know it was meant to be. Our daughter has passed all of her other checkups with flying colours, she was back up over her birth weight as of yesterday. We have wonderful support from family set up over the next two weeks, and then we can’t wait to welcome you back into our home and share our beautiful baby girl with you. We are taking lots of time to cuddle together and we are in heaven…! Pia, thank you. From the bottom of our hearts. We will be forever grateful for the gift you gave us. I had a great birth experience and I can’t imagine what it would have been like without Pia there. She helped me to prepare for a positive birth experience by sharing stories and interesting material to read. She let my partner and I know what we could expect at the specific hospital we were going to, and was available any time to answer questions. More importantly, it was invaluable to have someone to help us in the wee hours of the morning to determine that it was “go time”. She was that support person who made sure I was as comfortable as I could be, who calmed me during moments of panic, who helped me make it through the toughest parts of labour and helped my partner know what to do to support me during the delivery of our daughter. I would highly recommend her to anyone considering hiring a doula! Thanks again, I truly mean it when I say that I am so grateful to have had you there to help with the birth of Anna! If we ever consider having a third, I will definitely be in touch. We are so grateful to Pia for helping us create an extraordinary and natural birthing experience. Pia was our Doula during the birth of our son as well as our HypnoBirthing® teacher in the months leading up to our birthing date. She came highly recommended to us by friends as well as other health practitioners – and, during our time with Pia, we repeatedly saw why Pia was so respected in her field. Pia is experienced, caring and unquestionably dedicated. As our HypnoBirthing® instructor, she drew from her training under the Mongan Method and years of experience to help us prepare for a beautiful birth. We worked one-on-one with her to learn the principles and practices of HypnoBirthing®. The insight that my spouse and I gained and the techniques we learned were transformative and empowering. We felt, thanks to Pia’s guidance, far better equipped with an understanding of the various possible outcomes that could arise during the birth and how we could effectively respond to them. In retrospect, we could not imagine having gone through the birth without the knowledge and tools that Pia had equipped us with. Pia was also our Doula during the birth itself – and what a godsend it was to have her. She assumed her role with the serene confidence of someone who has experienced over 600 births. Her knowledge on natural pain management coupled with HypnoBirthing® allowed me to have a natural birth in a hospital setting, despite having to be induced. My labour was long – and it was beautiful. I was able to create the birth I had dreamed of despite the induction. I truly feel I could not have done it without Pia and that her presence was a game-changer for my spouse and me. She guided us, supported us and problem-solved effectively, and worked seamlessly with the medical personnel. My spouse and I are deeply grateful to her for having helped us birth a healthy, smiling and engaged baby boy. We will never forget the experience. Thank you Pia – it was magical and powerful. I met Pia when I took her HypnoBirthing® class many months before giving birth. I took that class because I was highly afraid of giving birth. I like to be in control and knowing as much as I can. Not knowing what the experience of giving birth would be like (for me) made me extremely nervous. We live in a society where birthing has mostly been taken over by the medical field. It has cast a shadow over the power we have as women and made us afraid of the process. I know this because I see it all of the time. When a woman repeatedly absorbs the idea that giving birth is very painful and must be medically managed, it becomes true. Our bodies are made to birth but we have long forgotten that or don’t trust it. We aren’t exposed to births either so that doesn’t help normalize what is supposed to be a natural process. The HypnoBirthing® class that Pia teaches mostly helped me get in touch with reality, taught me to relax and made me more confident about birthing. Pia exposed me to beautiful birthing stories (now I’m telling everyone to read the Ina May books), and shared her knowledge. Most of all she helped me become fearless. During a class I asked Pia if she was available to be my doula and I got lucky because she was. My midwives knew who she was and kept telling me, “Oh you got Pia? That’s great. She is amazing.” Pia came to my house a couple of times so we could go over my birth plan and get to know each other. She went over all sorts of topics: nutrition, fears, breastfeeding, circumcision, post-partum depression, self-care, choice of birth place, family/friends support, medication, etc. She was always available if I had a question and would inform me on my options. She was not there to tell me what to do, and I felt that she did not judge my choices. She gave me the best tool: a different perspective on birthing. She was always smiling and relaxed. All of this plus the knowledge and experience I knew she possessed (assisting at 600+births!) made me trust her 100%. She also told me to take the surges one at a time and reminded me that my body knew what it was doing, and that I should trust it. This really helped me calm down. Pia was the perfect birth partner. She brought some oil/cream to massage my feet, her TENS machine, made sure I kept hydrated, dimmed the lights, and even put battery operated tea light candles on the side of the tub. I know she did all sorts of other things I didn’t notice too. She was trying to make me as comfortable as possible and this made a huge difference. After I gave birth she reminded me to eat something and helped me get in the shower and dressed. She even helped me figure out how to breastfeed. I was out of the hospital three hours after the birth. Wonderful! Pia visited me at home a week later and brought me a beautiful and delicious braided loaf of bread she had just baked (it was still hot!). My birthing experience was magical and empowering. I couldn’t have envisioned better. I know that Pia had a big part in the way it went and the way I felt and still fell. All this being said—If you are thinking of hiring a doula I highly recommend Pia. She possesses all the qualities a doula should have and more. She has a heart of gold and is truly amazing at what she does. Due to a rather traumatic experience with my first labour, I knew what I didn’t want for my second child’s birth but I didn’t know how to get a positive experience. Reading about relaxation and breathing didn’t seem to matter during my previous labour. Pia’s explanations, practicing relaxation and breathing, asking questions and sharing my fears – all that paid off during the birth of my second child. Pia’s education, listening and guidance during my private HypnoBirthing classes gave me courage to trust that birth can be beautiful and empowering. And it was fabulous! Despite my initial skepticism about my ability to handle birth well, I did great and became a hero for my family, and that is in a big part thanks to what I learned from Pia. What a big difference the birth experience makes in how I feel about parenting, and about my ability to handle challenges! Thank you endlessly, Pia. Pia was our doula through a challenging pregnancy. I had postpartum preeclampsia after my first pregnancy and I had some anxiety as a result. Pia helped make the pregnancy less anxious through our pre-birth meetings and when I did develop preeclampsia again, her assistance was invaluable during a precipitous labour in hospital. She was a calm presence who helped us adapt to the situation at hand, and who helped nurture me during a labour/pregnancy that was outside the norm. I would gladly recommend Pia to anyone considering a doula, in particularly those who face challenges. I wish I had chosen to hire a doula during my first pregnancy as Pia’s help greatly improved my overall experience of birth, even within less than perfect circumstances. Pia was an invaluable resource for us during labour and indeed throughout the pregnancy. Pia’s calming and confident demeanor set the tone for our labour at home, and offered tremendous reassurance during a transfer to hospital. Her encouragement and support, as well as her knack for knowing just the right thing to say at the right time, were a pleasure to experience. She made us feel so strong and made each contraction more manageable. We would highly recommend her services to anyone considering birth in any setting. Hi Pia! I wanted to let you know that back on July 3rd, Michael and I welcomed our son into the world. Unfortunately, I was induced due to concerns with the placenta function that was discovered on an ultrasound. The oxytocin was horrible, and I used my breathing techniques up until I was able to receive an epidural. I went from 3 cm to 10 cm in under two hours, and I was at 10 cm by the time I got the epidural. From the time of induction to delivery it was only a total of six hours. He came very quickly, and I unfortunately ended up with a post partum hemorrhage. He is doing very well at this point, and I am recouping slowly, but well. Thank you so much for everything you did! The techniques came in amazingly handy during the induction, and I will be recommending HypnoBirthing®, and you specifically, any time. Thanks again. We have been so THRILLED with Pia’s support thought our pregnancy! She was highly recommended to us through a family member who had taken her HypnoBirthing® course and at our first meeting, we knew right away that we could trust her, and would enjoy learning from her as we planned for our little one’s arrival. Her office is welcoming and comfortable, and she ensures an endless supply of water to keep mommy and baby hydrated! She tailored the course to meet our individual needs and took extra time to answer ALL of our questions. She is an expert in her field and when I mentioned her name to other physicians or care workers in the field of gynaecology and obstetrics, she was held in high esteem and respect for her professionalism and compassion. We enjoyed a drug-free labour and delivery thanks to the knowledge she imparted and the confidence she built in us to make the right choices for our baby. We welcomed our daughter in February 2016, and credit Pia for her calm, peaceful arrival! We hope you will welcome Pia as part of your Team Baby! Hi Pia. I just wanted to write to you and let you know that December 21st our baby boy arrived! 9lb 1.5oz delivered naturally with no pain medications, only HypnoBirthing and a tens machine! My midwife was pleased to see how easily my labour went. I dilated quickly enough with no issues. I was shocked at how much the HypnoBirthing really helped. Every time I had a surge I was able to breathe deep, focus on breathing down to where it was sore and relax everything, which helped immensely. Corey was shocked as well and so grateful that we took the course. Once I was fully dilated we waited for about an hour and I did not feel pushy. We agreed to break my water to see if that helped. After we released my water, my midwife asked how my latest contraction felt compared to before breaking my water, and I didn’t even remember having a contraction. I was able to sleep between contractions and was so relaxed. I remember at one point thinking that if this is the worst of it, I will gladly do it again. Now almost a month later we are doing well and getting to know our baby! My labour came on fast and hard! This was my first pregnancy and my labour did not go according to the schedule we had learned in pre-natal class. I was very scared, thinking that if this was only ‘early labour’ there was no way I was going to make it through, let alone have the home birth I’d hoped for. As soon as Pia arrived with her calm and reassuring presence, the environment changed and my anxiety was immediately diminished. After timing a few contractions she told me not to worry as I was well into active labour and it wouldn’t get any worse. I was so relieved to hear this, and re-gained my confidence that I could do it. Pia held my hands and breathed me through every contraction, allowing me to stay calm, relaxed, and focused on the present. Her psychological support helped me to believe I could do what my body was fully able and made to do. Our beautiful baby girl was born in our bed at home, the birth all we had dreamed of, and we couldn’t be more grateful to the immense part Pia played in it. I was pregnant with my second child and nervous due to a rather negative birth experience with my first. Pia provided knowledge and guidance during my pregnancy and comfort and reassurance during my labour. Without her, there is no doubt that I would’ve underwent numerous interventions. Having her there allowed me to surrender to my body and have the natural birth that I wanted. My daughter’s birth was the single most empowering experience of my life and I cannot thank Pia enough for all she did for me. Pia was recommended to us by our midwife and we were fortunate enough to have had her as our doula. I had had a C-section with my first child, and this time around I was hoping for a VBAC. I was a mixed bag of emotions – nervous and excited. Pia helped me work through all my fears with HypnoBirthing and her ability to answer all of our questions. She was the first to arrive at our home when the baby was ready to come. She was so supportive and caring and her knowledge about the birthing process is out of this world. She held my hand through my labour and allowed me to lean on her, physically and emotionally. Her post-partum support was second to none. We would definitely recommend Pia as a doula and we plan to hire her again in the future! Pia is such a pro. She walks in the house and brings a breath of calm. It was not an intrusion at all to have her present at these very personal and meaningful moments, but rather a warm presence. We liked knowing we had our ‘insurance’ of Pia’s skillful training in case I had back labour or other complications that could be helped with her services and advocacy. Pia was an incredible support during my pregnancy and the birth of our son. Like most labours and deliveries, our baby did not arrive when or how we expected. Pia was more than prepared for a premature baby and nervous first time parents. Before the birth, Pia was flexible in her care, and tailored her approach to suit my partner and I. During our time in the hospital, Pia served as an advocate on our behalf to ensure the best possible birth experience. Pia was comforting and present in tangible ways throughout the labour, she seemed to have anything I could possibly need in her bag or else she would get it within moments. As soon as Pia enters the room, you feel calm, cared for and prepared for your baby. Without hesitation I would (and frequently do) recommend Pia as a doula for your birth and she will be one the first people I contact the next time we are expecting a baby. Pia is the most amazing doula a woman could ever ask for. She attended both of my births – the first of which was breech and very stressful. Pia helped keep me calm and relaxed throughout. My husband and I took her HypnoBirthing course which was immensely helpful in helping me have quick and natural births free of medication. With her years of experience Pia has developed a wonderful reputation amongst the midwives and the hospital staff. She is professional but so maternal and caring – just the kind of person every woman needs at her birth! I heard about Pia from a customer I was serving at a restaurant when I was about five months pregnant. He encouraged me to call her because his wife had such an amazing experience with Pia as her doula. Dealing with an unexpected pregnancy and about to face parenthood alone, Pia could not have come into my life at a better time. She helped me to develop the courage to conquer my fears and gave me the tools, knowledge, and trust I needed to give birth to my beautiful baby girl, Madeline. I would not have been as calm and as soothed by anyone else by my side that day. Pia’s coaching skills and powerful intuition guided me through labor and allowed me to greet my baby girl with nothing but ease and love. I am so grateful that Pia was part of my pregnancy journey and labor. She enriched my experience and really helped me turn a scary situation into a positive and beautiful one. Pia supported us through our first pregnancy and delivery and we could not have been happier with the experience. Pia took the time to meet with us a number of times before the birth to let us know what to expect during labour and the delivery as well as to let us know what her role would be and the various supports she could offer. Not only was this information helpful but it also gave us a chance to get to know Pia better and to realize what an amazing doula she is. When I went into labour in the middle of the night we called Pia and she was there for us right away. She was so calm and supportive and she put us both at ease from the beginning. Being our first child we really had no idea what to expect but with Pia at our side we were never concerned or nervous. I was able to let go and just focus on the labour with Pia at my side helping both myself and my partner through the process. In fact, we felt so comfortable with the labour process that we opted to deliver at home rather than at the hospital, as originally planned. I don’t think we would have made that decision had it not been for Pia’s calm demeanour and knowledgeable support. A few hours later we had a healthy baby boy. Pia stayed for a few hours after the birth to make sure I was comfortable and that we had everything we needed before being left alone with this brand new little person. After she left she stayed available by phone and also stopped in over the following days to make sure all was going well. All in all, we were so pleased with our experience with Pia and would highly recommend her to anyone considering a doula for their delivery. Pia was our HypnoBirthing educator. She thoroughly explained the theories behind the idea as well as provided a safe place for my husband and I to practice the relaxation techniques involved. Pia was always on time for our scheduled sessions and always warmly welcomed our questions. She is very professional, yet extremely personable. We HIGHLY recommend Pia! My husband and I enjoyed working with Pia so much that we decided to hire her as our Doula as well. This was the best decision we made (besides deciding to have a baby)! Pia was very professional and was always there for us when we needed support and guidance. She is extremely wise and has a ton of valuable wisdom to share. We had a beautiful birthing experience because of Pia. She will for sure be a part of our next one! We were happy and excited to have Pia join us on this journey and become our doula. Her wealth of knowledge and experience allowed us to enjoy a healthy and natural childbirth. Pia was very professional and caring at all times. Her confidence and expertise allowed me to have a wonderful experience in labour and delivery of my beautiful daughter. Thanks to Pia these are moments we shall never forget. We first met Pia for prenatal classes. However, we soon realized we wanted her at our home birth as our doula as well. We knew her knowledge, experience, and calm demeanor would help us to feel comfortable and confident during the birth. It’s hard to sum up in words how much that was true for us when the time came. Our home birth was an amazing and empowering experience, and Pia’s presence there was part of that. Having her there made my husband immediately relax and focus on supporting me (instead of worrying that the baby was coming any second). She helped to cue my breathing and remind me that the things I was feeling were normal. After the birth, she stayed and helped my husband clean up (a big task at a home water birth!) and to make sure we were settled in. She went above and beyond and responded to our call late at night on the third day after our son was born when I was struggling with breastfeeding. I’ll never forget how much better I felt after that visit, when only hours before I couldn’t imagine how I was going to do this. Everyone should have a Pia at their birth, a mother-figure who will take care of you and make you feel loved, understood, respected, and taken care of. It’s hard to imagine what our birth experience would have been like without Pia, since she was such an integral part of it. We wholeheartedly recommend her! We highly recommend Pia as a Doula. She attended the home birth of our son in April 2012 and thanks to her and a wonderful group of midwives it was an experience that we look back at with fond memories. The labour came on quicker than expected. I went from being comfortable with the situation to being quite anxious. As a first time Mom, I did not know quite what to expect. Pia arrived with her calm, but take-charge attitude and kindly said, “Today you are going to have a baby, it is a very special day.” and it was. Her knowledge and experience was evident as she helped us navigate the birth, supporting our decisions and coaching both my husband, reassuring us and providing a perfect combination of mental strength and practical techniques for easing the birthing process. Due to the speed of the birth my husband and I made a last minute decision to have the birth at home. We would not have felt confident making this decision if it hadn’t been for Pia’s unwavering support. We were able to realize our plan of a natural birth. Once Lachlan was born, Pia seemed to take care of everything, leaving us time to bond with our new love. Before she left, she ensured that I was tucked into bed with a good meal and a baby happily breastfeeding in my arms. As for that special day she spoke of, well, it was also her birthday. Acquiring a doula was something that we didn’t consider until later on in our pregnancy. We had heard of Pia through a few outlets and decided to have a discussion with her about how a doula participated in and around a birth. After our intro session, we were more than convinced that not only did our personalities and philosophies mesh, but also that Pia with her experience and passion was going to make our pregnancy and birth more smooth and enjoyable. She offered mini-lessons before our actual birth that we found very interesting and informative – she never made us feel like our questions were unheard of nor unnecessary. When it came to the actual birth, I am not sure what more we could have asked of her. She was visible and supportive when need be, but also quiet and relaxed at other times. She exceeded our already superb expectations of her throughout our labour and birth, and we also felt supported postpartum. Any future births for our family will most certainly include Pia. We would not hesitate to offer a further description of our relationship with Pia should anyone be interested. I had chosen midwifery care for my birth, but I knew I wanted the additional support of a doula. That was one of the best decisions my husband and I made. We had the opportunity to get to know Pia during her HypnoBirthing classes, and quickly felt comfortable due to her wealth of knowledge, warmth and sincerity. These sessions were really helpful in giving us information and strategies to reduce the myths, mystery, and anxiety around the birthing process. Both my husband and I had no idea just how much we would need her support until she arrived at our house in the middle of the night, and calmly and reassuringly led us through my rapidly progressing labour. From that moment she was by my side until we were home safe and sound with our new baby. I felt so taken care of, and I know her presence allowed my husband to breathe easier! I simply cannot imagine having gone through my labour without Pia! We hired Pia as a doula and also took HypnoBirthing classes with her. As first time parents, Pia’s services were invaluable to us; the information, support, and tools she imparted helped us have an enjoyable, calm, and confident pregnancy. We left each session with her feeling more informed, empowered, and excited. Although our entire home birth plan went out the window, the education we had received combined with the ongoing emotional support from Pia helped us stay relaxed and reassured, leading to the very best birth experience possible. Once in labour, Pia was with us from the moment we reached the hospital until well after our new arrival the next day. She is warm, comforting, and a wonderful ally. We cannot recommend her highly enough and will always be grateful for the care she provided to our family during a pivotal event in our lives. Pia’s HypnoBirthing course and presence as a doula gave us the opportunity to turn the birthing experience into a beautiful journey rather than a routine trip to the hospital. She gave us the confidence to aim for the birth we wanted and the support in the difficult moments that really helped us through unexpected complications. We would recommend her whole-heartedly! When I found out I was pregnant with our son, I knew that I wanted as natural a birth as possible. I was hoping to give birth at a birthing centre with a midwife, but was put on a waiting list and therefore faced with the reality of a hospital birth. To compensate and still get the sense of a more natural birth, I decided to get a doula. Pia Anderson came highly recommended from a friend, and so my husband and I chose her. From our first meetings with her, we felt at ease with Pia, and a deep sense of trust. She was wonderful in helping me prepare not only physically but also mentally for the big day, and took away my fear by helping me have trust in my own body. She helped me prepare a well-informed birth plan adapted to my own needs, but also made it clear to never feel like I’ve failed were I to change my mind during labour. And then the big day came, and Pia was everything we had hoped her to be. She was helpful and kind, both to me and my husband. She was resourceful, and incredibly patient. She helped me get into the right mindset to keep calm despite the pain by letting me know what was happening in my body, where the pain was coming from. And she respected my needs and wishes without argument, yet subtly trying to help me stick to my own birth plan. And the result was that despite horrible back labour, I managed to go through most of my labour at home, avoid an epidural and drugs, as well as frequent unpleasant checkups for dilation. I arrived at the hospital fully dilated and ready to push, and 30 minutes later my son was born with Pia gently coaching me through the last steps. I have only had one baby – and therefore one doula – but my experience with Pia Anderson was beyond expectations. I would hire her again in a heartbeat and recommend her without hesitation. Pia provided the support my husband and I needed in order for us to genuinely enjoy the birthing experience together, without having to worry about anything but our baby. She poured my bath, gently encouraged me through contractions, kept me hydrated, and always made sure I was in comfortable and effective birthing positions. But she also helped with the little things, such as giving our families updates, moving our car, packing our things to switch rooms, helping me shower, and even putting up my hair. Her support was truly invaluable and we are so grateful to have had her guide our birthing experience. You were always available to us before and after Aria’s birth. We are thrilled that we had the birth we wanted and certain that your support and the HypnoBirthing® classes had a great deal to do with making the birth so wonderful. It was a huge relief to have you come before the midwives and help me find positions to surge in. We are so grateful for all your wisdom and could not image doing it without you. After having had a difficult labour and hospital delivery with my first baby, I was looking for a very different experience with my second baby. I received multiple excellent referrals and decided to contact Pia Anderson for doula support. I had no idea that I actually knew SO little about my body and the birthing process!! Pia was amazing; she taught me what to expect, and explained all the changes occurring in my body. Her experience and knowledge supported my husband and I throughout the entire pregnancy, labour, delivery and post-natal period. We both felt very comfortable and calm at every moment. We hired her again for our third pregnancy and having her by my side made all the difference in both births. I was able to have 2 very special births (and successful VBAC’s!) with her support. I can now actually say with all honesty that giving birth is the most beautiful wonderful experience I have ever had I would never do it again without her! Pia provides excellent birth support. Pia’s passion and years of experience help create a calm environment that reduces anxiety, stress and fear. Her techniques and unique skills provided focus, comfort and relaxation that augmented the births of both of our children. Pia’s offerings extend beyond just birth support, she was instrumental in guiding us through pregnancy, the births and post-partum. We were happy and excited to have Pia join us on this journey and become our doula. Her wealth of knowledge and experience allowed us to enjoy a healthy and natural childbirth. Pia was very professional and caring at all times. Her confidence and expertise allowed me to have a wonderful experience in labour and delivering my beautiful daughter. Thanks to Pia these are moments we shall never forget. To say that I was scared of delivering our first baby would have been an understatement. My midwife recommended Pia to me and I enrolled my husband and myself for the HypnoBirthing® course with her. Immediately after meeting Pia, I relaxed ten-fold. My skeptical husband, who originally balked at the idea, quickly came around after our very first session. Pia led us through the course with patience, wisdom and professionalism. In fact, we found ourselves very much looking forward to our visits with Pia. The course helped my husband and me bond over the whole process, and really made us communicate with each other about our expectations, our feelings and our fears. As our doula, Pia did not disappoint. She helped us prepare a birthing plan, eased our fears and empowered us to take control of our birthing experience. She was the first to come to our home in the middle of the night and stayed by our side the whole way. 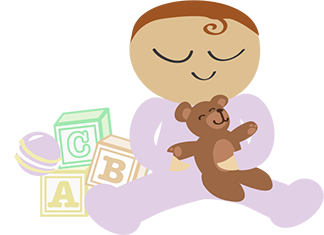 Despite back labour and a long labour, with Pia as our doula and the HypnoBirthing® course, we enjoyed the arrival of our first baby and felt calm, cared for and in control the whole time. I am 100% certain we have Pia to thank for this. Her caring, gentle nature and quiet strength made our experience wonderful. I cannot recommend her enough and will be certain to have her as our doula for our next child. I was so fortunate to have Pia as my Doula throughout the duration of a challenging pregnancy. She encouraged me to trust myself and my baby and let Mother Nature do her work. The HypnoBirthing® classes we took with her and the pre-natal visits became an indispensable part of my pregnancy journey. I learned a lot about pregnancy, how to deal with doctors, and the whole birthing process. My partner and I were lucky enough to go through the HypnoBirthing® course with Pia and to have her with us for the births of both of our girls, now 3 and 1. Her warmth and steadiness throughout my pregnancies and the births of our daughters was truly a gift for our whole family. Pregnant with my first baby, Pia helped me to feel confident that birthing is a natural process and that I could trust my body to know what to do. Even when I found it hard to believe, she helped me realize that I could have a beautiful and natural birthing experience. I will never forget the calming presence and encouragement that Pia brought with her. It feels to us that Pia is part of the family and I hope she will be with us if we have a third! Words truly cannot express how grateful we are for having Pia with us on the day our son was born. Not only did Pia make my husband and I feel safe and comfortable throughout the whole process, she managed to create an environment of utter serenity. Pia’s services are truly unparalleled; she is knowledgeable, experienced, caring and extremely hard-working. After a 23-hour labour, our son was born and Pia took us home from the hospital and even tucked us in to bed- it felt like she was part of our family. She was always there for us when we had questions or concerns and her kindness and patience never wavered. Thank you Pia for all your support, kindness, preparation and most of all for making our son’s birth a stressless and joyous occasion! When we asked our midwife if she could recommend any doulas in the area, she immediately suggested Pia and we are so thankful that she did. Having Pia at the birth of our beautiful baby girl was one of the best decisions that we made. Pia came to our house a few times before the birth and it gave us the opportunity to get to know and get comfortable with each other. Her enthusiasm and positive attitude toward labour and delivery was instrumental in helping me to mentally prepare for something that I initially wasn’t feeling very comfortable about. When I went into labour, we were once again so thankful that we had made the decision to have Pia with us. She was an amazing support and was always by my side. She seemed to always know what I needed and what would help me even before I did. Her presence at my birth helped tremendously with my motivation to pursue a natural birth experience. We are both so grateful for Pia. She is knowledgeable, experienced and has such a passion for what she does. She truly played an important role in contributing to a positive delivery experience. Pia was my doula for the birth of each of my daughters. My labours & deliveries couldn’t have been more different, the first being a very long and difficult hospital birth and the second being a fast and unexpected home birth. The one consistent thing was the calming presence of Pia. Her support and encouragement throughout my labour was invaluable. She helped give me the confidence to know I could do it and gave me the comfort of knowing she was there for me and my husband. I can’t say enough about Pia and everyone should be so lucky to have her with them for the births of their babies. Having Pia on our team for the labour and birth of our two girls was a great decision. She was such a calming influence when she arrived at our home and took a lot of pressure off myself – especially with the labour of our first. Having seen so many labours and births, she knew when it was time to engage our midwife, which was a big help. She guided my wife with labouring tips and helped ensure she was never alone. Our two labours/births couldn’t have been more different, but she was a huge help and great resource both times. While I was pregnant with my second child I started thinking about how I wanted my birth to be. My first was born via C-section and I knew that I wanted to take all measures possible to avoid that happening again. To do this, I chose midwifery care and I decided to work with a doula. I chose to contact Pia as she came highly recommended by my midwife. At our initial consultation I felt immediately at ease due to her friendly and caring nature as well as her strong belief in empowering women to birth naturally. She fully supported my hopes for a VBAC and provided me with a vast amount of information and tools that were absolutely key to my preparation for birth. Pia made sure I had the confidence and knowledge to have the birth I wanted. During labour Pia’s presence was critical to my managing labour and the pain that came with it. Her support not only got me through the hours of labour but she helped me feel calm, determined and confident. She supported my husband (my birth partner) and me so well, and I cannot imagine having done it without her. The choice to have a VBAC at home is a choice I hope more women feel encouraged to make. It’s what is natural and best for both mom and baby. Having Pia as my doula made this experience possible for me. So glad to have had Pia as our doula for the labour of our second child! After having a fairly difficult labour with my first child, I wanted to be better prepared. Pia was AMAZING! She was available any time I had questions leading up to the birth, and she had lots of useful strategies for managing the pain in early labour. She is so experienced – her calm and patient demeanor is incredible and she really is a great birthing “coach”. It was great to have meetings with her before and after the birth as well. We really felt like she was a member of our family!! Our experience with Pia was wonderful right from the first prenatal visit to the postpartum visit. She has a very peaceful, calming and positive attitude which I found really put me at ease. If I had any concerns or was anxious about anything to do with my pregnancy or the birthing process going into one of our appointments I always left the appointment feeling much better and calmer about it. I found her approachable and very easy to talk to about anything – which really allowed me to voice any feelings or concerns I was having leading up to the birth. Pia is extremely knowledgeable so I felt very confident and well-informed to make all the decisions that felt right to us regarding the birthing process and the first few weeks with our baby. When it came time to give birth to our baby, I called Pia at the first signs of labour and felt really supported right from the start. She came to our home when I was in early labour and she did not leave my side until I was holding our baby girl in my arms 13 hours later. She talked me through every surge and every break in between with gentle and encouraging words. I felt so supported and taken care of. There were times I didn’t think I could keep going but she always had the right words to give me the energy to keep going. I’m so grateful that we chose her as our doula for our birthing experience and if we decide to have another child we will most definitely want her to be a part of it again. Pia’s presence and support has been invaluable throughout my pregnancy and during the birth of my second son. She has been caring and ready to help at all times, and I truly appreciated her capacity to remain calm and alert when most needed.